There is one fact that should be etched in every psyche is that a relaxing getaway can bring you with opportunities galore to set a new lease of your life. A well-planned escapade comes as an inexplicable incentive in our lives. Be it a seasonal vacation, a family trip or that much-awaited solo trip – you name it and it instantly harks out ‘celebration of life’! Have you had enough of your bustling household chores, those frenetic urge of mall-hopping or those heaving night-outs? Maybe you should take a serene adventure holiday at any corner of India for recharging those fried-circuits of your brain. For those seeking a fun-filled adventure escapade, Bangalore could be the right answer. Planning to embark on an adventure-filled trip to Bangalore? Perhaps you should count on PSR Enthrals to seal the deal. Planning to stay for just one day in Bangalore? The recreational activities offered by PSR Enthrals could be the ideal deal-makers for a memorable one day outing in Bangalore for family. Bangalore is often deemed as a perfect piece-of-paradise for the adventure-junkies of India. To make your stay in Bangalore even more adventurous, PSR Enthrals has come up with truckloads of options in its list of recreational activities. Despite having begun its endeavor just a couple of years ago, PSR Enthrals has successfully carved a niche for itself by offering a bunch of adventure activities for its customers. Is your pre-decided budget holding you back from exploring the nook and cranny of the stunning Bangalore? Well, fret not, because PSR Enthrals ensures to offer you a whole lot of recreational and adventure-filled activities at the best of price points. Every activity provided by PSR Enthrals is affordable, and hence, you can opt for them, albeit, without overshooting your budget. 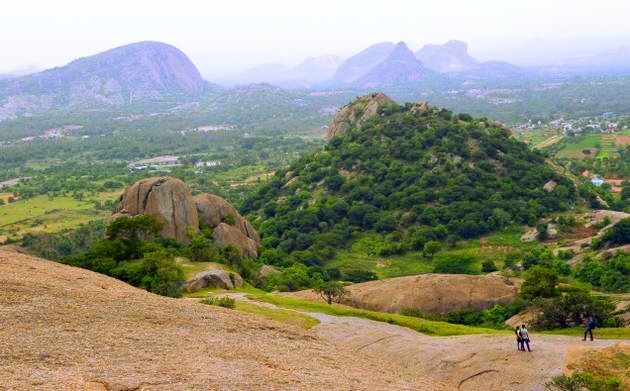 Apart from providing different adventure-filled activities, the team PSR Enthrals also aims at delighting those travelers who want to delve in the natural splendor of Bangalore. There are many travelers who seek a lot more than just the clean air, lip-smacking local food, pure water, and the calm and serene surroundings offered by a travel destination like Bangalore. A good chunk of these travelers wishes to “drink life to the lees” through the form of some blood-pumping and heart-thumping adventurous activities. As mentioned earlier, PSR Enthrals has truckloads of options to channel the inner wanderlust of such adventure-seeking souls. Be it for a long trip or just an impromptu one day outing in Bangalore for family, PSR Enthrals know how to delight the customers with the right offerings in the right pricing. Thanks to all the aforementioned activities provided by PSR Enthrals, the city of Bangalore will prove to be a perfect getaway that will remain etched in your heart for the years to come.